2018 Coal Cross returns to the classic venue in the heart of Cumberland, Village park. There have been many renditions of this race and this years will not disappoint. A good call-up will have racers salivating as a wide starting grid leads riders down a long chute allowing them to fight for the “Bacon Holeshot” prize pack. Positioning will be key as you enter the infamous Coal Cross pinwheel. From there the leg burning grass straight aways take you into the ultra tech, winding, tall trees before hitting the gas again on the open field. The pump track should give some riders a break, and others a fit. A mixture of short technical ups and downs, twists and turns brings you into and out of the “back 40” (if you hear banjos, pedal faster) of this course where the hard efforts really start to take their toll before re-entering the soft, velcro-like grass of the village park. One more section of technical turns awaits before crossing the line and starting it all over again. If at any point this course seems like it’s the same as lastyear…you’re probably going the wrong direction. 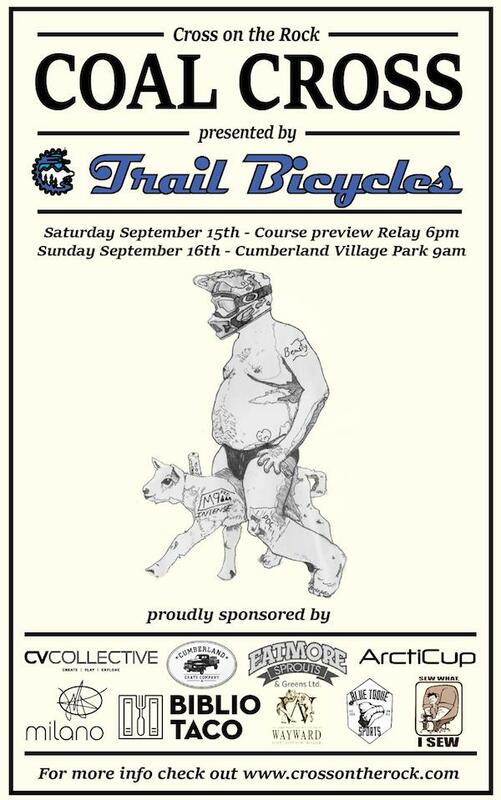 Saturday night we are setting the course up (minus a few Sunday surprises) people are invited to come out and enter the “for-fun” course preview team relay race. Waivers will need to be signed, so minors must have adult signature to participate. The racing will get underway around 6pm so come early, help set up the course and join in on the fun. Think SSCXWC with less whiskey. Arrive EARLY if you want to place a tent close to the action. 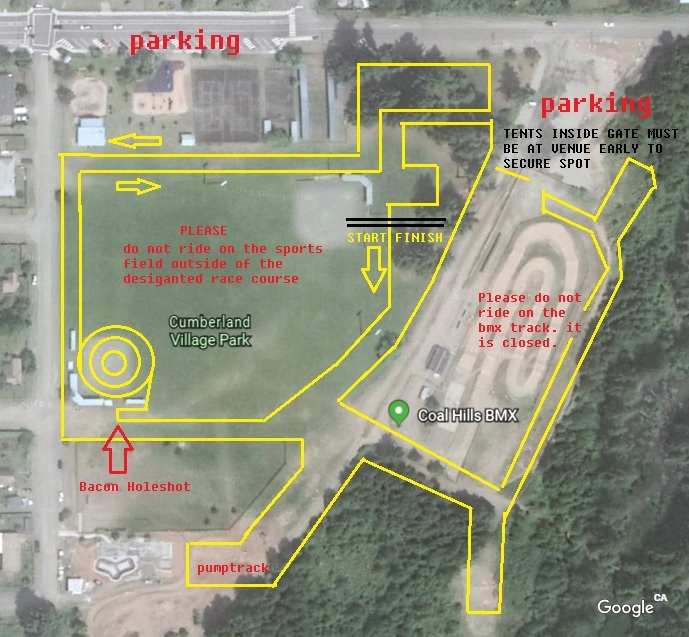 Team tent space is limited and will be placed in the usual location along the park fence inside the yellow gate. First come first serve. There will be no parking spaces available inside the yellow gate. Porta-potty access will be located in gravel parking lot.